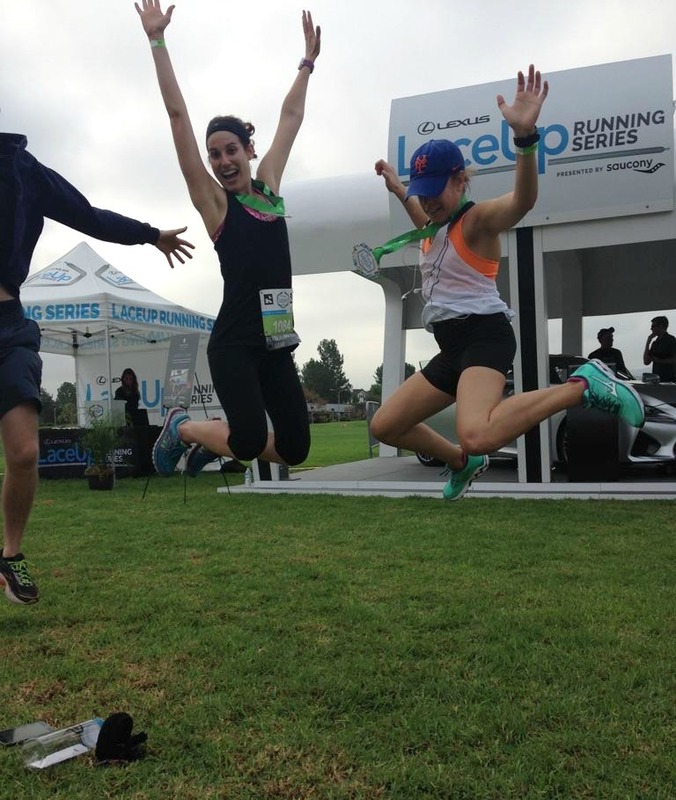 A couple of months ago I was selected as a Lexus LaceUp Race Ambassador and had decided that the Lexus LaceUp 10K in Irvine would finally be the race where I broke my 2-year old 10K PR. Well, between the massive heat that we’ve had for the past 2 months as well as getting a bad allergic reaction and a stomach bug within a month of each other, my 10K training didn’t go as planned and at the last minute I dropped down to the 5K race since I wasn’t feeling fully confident in my training. Spoiler alert: the race turned out to be awesome. I have a love-hate with 5K races. They are great because they are short, but they are also SO HARD because you are basically sprinting for 3.1 miles. My current race 5K PR was 22:45, so I decided to go into this race running somewhere between 23-24 minutes. When I woke up on race morning, I was NOT in the mood to run. I was coming off a busy week of work, had managed to spill something on my ambassador shirt before leaving and was quite frankly, pretty tired. But I was excited to run with the Englishman and my friend and see all the other LaceUp Ambassadors so I put on my game face. Fortunately when we arrived in Irvine the weather was much cooler than it has been in weeks and the positive energy from all the other runners was infectious. I decided to just go in, have fun and have a great race. The horn blared and we were off. The first 1/2 mile felt tough per usual, but then I started to get into a groove and slowly started passing people. I had no idea where I was place wise throughout the entire race, but I just kept my head down and kept running. After the halfway mark my legs started feeling pretty good and my competitive fire kicked in so I decided to try and hit as close to my PR as possible. Next thing I knew I was running through the chute and the announcer said “Allie Fisher, 2nd overall woman!.” Um what? I ran over to my friend who was acting as our race photographer and he confirmed that was indeed what the announcer had said. Moments later I was astonished to find out that my chip time was faster than the woman in front of me, making me the 1st overall woman in the 5K division. This immediately called for a jumping into the air picture. To be honest, I was completely shocked. I’ve run a ton of races and never in a million years ever thought I’d be on a podium, especially in first place. As someone who has only been running for about 6 or so years, I consider myself to be fairly decent at this point but am always in awe at other runners who make it look effortless. After cooling off, we made our way over to the awards podium where I was presented with a first place trophy. I’m still finding the whole thing surreal. 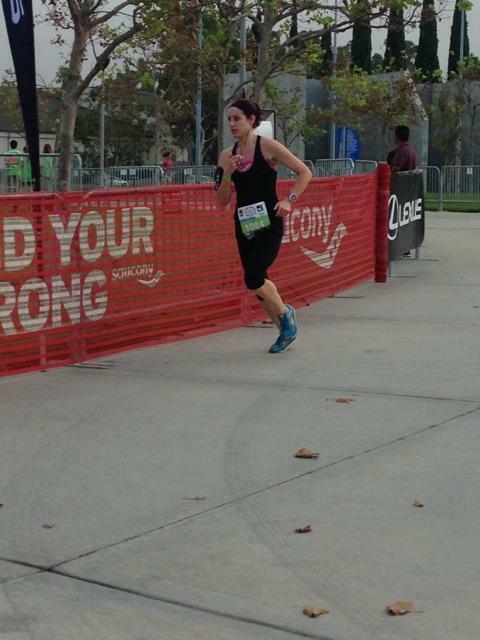 I also managed to squeak across the finish line in 22:28, which I was pretty happy about. If anything, the racing spirit has been reignited and I can’t wait to sign up for my next one! Thanks to Lexus LaceUp for hosting such an awesome event. 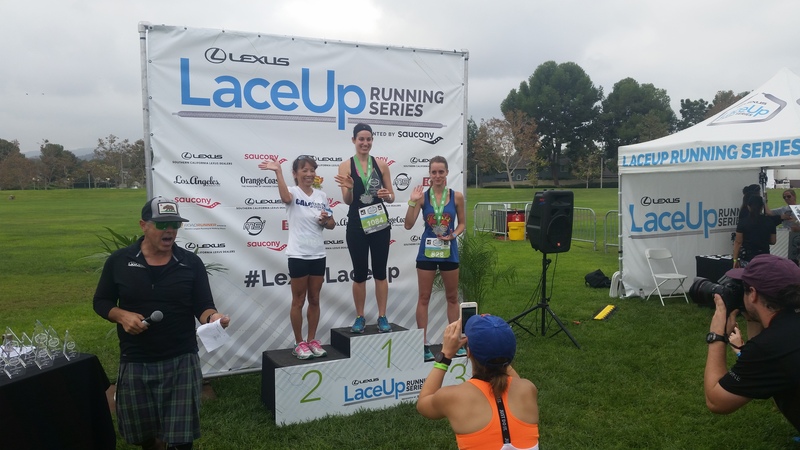 If you are looking to run any of the races in the Lexus LaceUp Running series, be sure to use code LACEUPALLIE for 15% off! (plus the medal is pretty sweet). 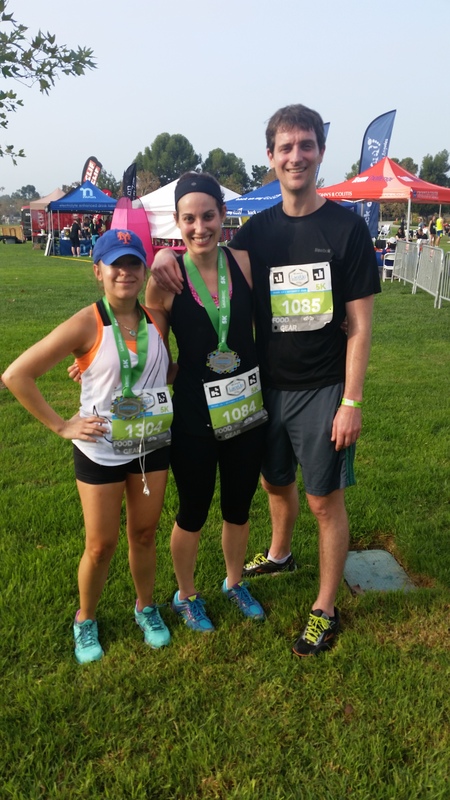 This entry was posted in Healthy, Recipes and tagged 5k, lexus laceup, races, running ambassador on October 19, 2015 by allie@sweetpotatobites. This is so amazing!!! So proud of you for all the hard work you put in every week. Couldn’t be happier for you!! Aww thanks friend 🙂 As my OG running buddy, I think it’s only fitting that we do a race together soon – either in NorCal or SoCal!